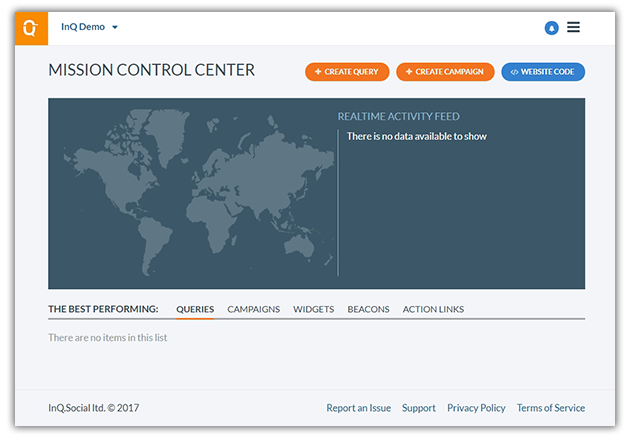 Welcome to InQ.Social, we will try to guide you through all the steps required to set your InQ.Social account up and running. If you need further help, please email us at [email protected] and we will get back to you as soon as possible. Before starting to use InQ.Social, make sure you have already signed up for an account. You can start with our Free subscription plan and always upgrade or downgrade later. When you sign in with a newly created account, you will see our onboarding wizard form. On the first page select the type of your website. 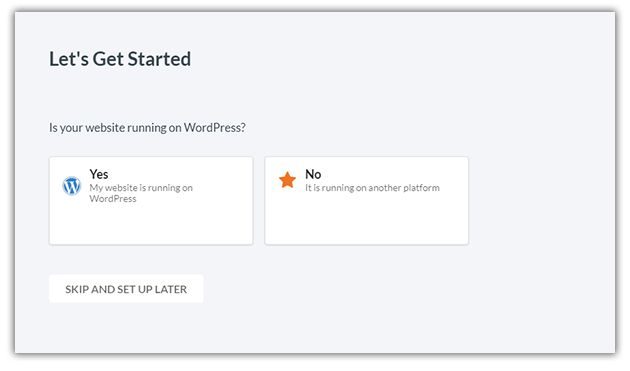 If your website is running on WordPress, download and install our native plugin and follow the setup instructions. We will continue this process assume your website is not running on WordPress. So click No. 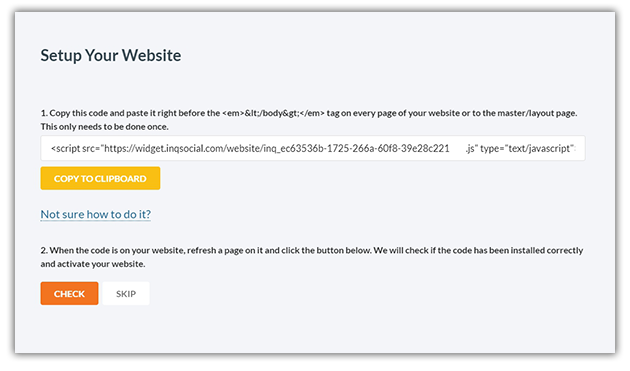 Copy the generated code and added to all pages on your website where you want to use InQ.Social services. Typically, there is a master page that needs to be updated. Once this the code has been added, refresh your website in another window and click CHECK button. We will check if the code has been installed correctly and if everything is okay, you will be redirected to the Mission Control Center. Great! Now, before you start to use InQ.Social services and collect data, you will need to set up Meta Verbs and Products. You will need at least one record for any product or service that you will collect data for with InQ.Social services. This is the minimum setup required for the start.